Australia has 50% of its workforce as women, but women fill just 17.1% of the CEO chairs. Kelly Quirk sure stands out as a unicorn in her CEO shoes. Gender disparity is not just Australia’s problem. 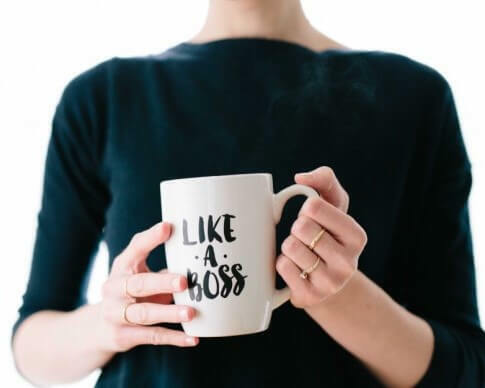 A report published by TopCHRO on ‘The State of Workplace Gender Parity’ states inequality in leadership is the second most prevalent form of gender discrimination (39.8%) beaten by wage inequality (41%) as its biggest rival. So, it is not just the glass ceiling here at work, but it now has its many friends. An optimist will say that there are more women CEOs than ever. Gender diversity is an evolutionary process. Millennials are more sensitive to gender discrimination than baby boomers or generation X. There are women who broke the glass ceiling and rose to the ranks. But, is there a glass cliff waiting for them? As per the findings of the recent study, ‘You’re Fired! Gender Disparities in CEO Dismissal’, women CEOs have 45% higher chances of getting fired than their male counterparts. Firing a CEO when the firm is performing poorly, or when the future predictions look gray and cloudy has empirical data backing it up. Companies who are not performing well see both male and female CEOs getting fired at an equal rate. But CEOs face the ax even when the company is performing reasonably well and here companies do not have a ready script for logical reasons. A good performance by the CEO is not the savior for women executives, as it is for men. Call it the stereotype of ambiguity or congruity theory, but wrongful presumptions will take women as their first victims. Though women CEOs are more likely not to leave a firm, the median tenure of a female executive is less than a that of a male executive. Think about leaders and how they were modeled in a traditional world. Aggression, ambition, and go-getter to the degree of a merciless warrior. The very perception of women in their traditional or genetic make-up is a stark opposite, with her being the nurturer and provider. Congruity effect creates a notion that women are not competent to be leaders. A company going for its initial public offering is perceived to have more chances of success when a man is in the leader’s shoes. Female-led companies often go dry on investment opportunities owning to the stereotype against their competency paving a way to fall. Stereotypes form a vicious cycle to prove their worth. One stereotype that goes in favor of women though is that they are perceived to have better interpersonal skills, inclusivity and nurturing capacity. Many call it a “female advantage” when it comes to choosing a leader for future forward companies. The flip here is the critical mass factor, wherein a minority (read women CEOs) will face more scrutiny and judgment than their male counterparts. Even when a woman performs at par with the male counterpart, it is likely that she will be evaluated negatively. No one comes up directly and says that they took gender into consideration while firing a CEO. The stereotypes and biases are the invisible albeit potent factors play the game at the top ranks. The silver lining is, however, that people are talking about it.